If you are an entrepreneur, you most likely rely on a lot of different tools and pieces of software installed on your computer and via the web to manage, build and grow your business. With so many different options to choose from, it can sometimes get confusing about what tools are really worth your time to learn about and invest in. The list of tools and resources below is sure to help you get on the right track to be more effective and productive in your business. Penultimate is one of those iPad apps that will help you get rid of all the yellow pads that you have laying around your workspace. For an entrepreneur who currently manages a lot of “written down” information in many different places, this iPad app is an absolute lifesaver. The app allows you to create written notes within a series of notebooks that you set up yourself, and helps you keep track of everything you need without wasting any paper! One of the best functions the app provides is the ability to write out something in a notebook you create, and then email the specific page or entire notebook to yourself via e-mail. Just make sure that you purchase a writing stylus so that you don’t have to use your finger! Join.me is a software tool that is web based, with a companion iPad app to go with it. This simple little tool makes sharing your screen with other people so easy. All you have to do is visit the Join.me website and click the “Share Your Screen” (Basic), and then as you have your friend on the phone, you provide them with a number to type into the “Join” box. Before you know it, your screen is being shared, and you are able to show and tell the other person what you are trying to get across. What is even better is that the other person doesn’t have to be in front of a computer because the iPad app does the same thing for someone on the go. Skitch is one of the best screen capturing pieces of software you can download onto your computer. Available in the Apple Computer App Store, this little app has so many functions that allow you to never have to download another screen capturing piece of software again! With the ability to capture an image, resize it, and add customized text and copy doodles directly to the piece, you are in “screen capture” heaven! 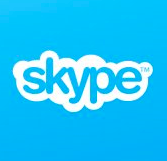 Skype is one of the best free pieces of software that allows you to connect with people all around the world for free. Not only does it provide a great instant messaging platform, but also allows you to call anyone else for free with an internet connection. There are some additional features that allow you to share your screen, and documents by dragging and dropping them into the chat, but the main feature that allows you to connect with anyone around the world voice-to-voice for free is what makes this piece of software so special. 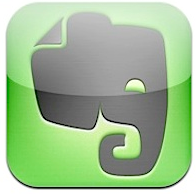 Evernote is one of the most amazing pieces of software I have ever downloaded onto my computer (via the Apple Computer App Store) for the simple fact that it allows me to remember anything and everything I upload into it. Not only can you organize an infinite amount of notes any way you want, but even better it allows you e-mail something into the app, and have the entire message be searchable via the infinite amount of notes or e-mails you send into or create within the piece of software. 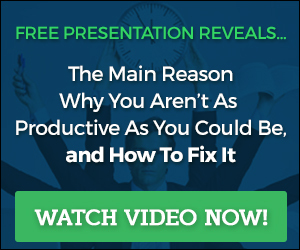 I could go on and on about this app, but it would be best for you to watch the video below to understand the true power of this amazing piece of software that will make your life so much easier. It even has a web-based version if you don’t use an Apple computer! When you use this app, with the other apps in this list, you can get yourself to the point where you can literally say goodbye to managing all that paper every single day! 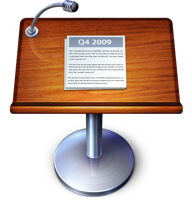 Keynote is another amazing app created by apple that allows you to create amazing presentations for people you are pitching or communicating with for a project. One of the best features that I absolutely love is the ability to make a presentation, and then record it via video right within the app. This feature alone allows you to make many different types of videos to use for sales and marketing purposes. All you would have to do is take the file that is recorded, and upload it to YouTube or another video sharing website! Quick Time Player is another amazing app that comes stock on any new Apple computer. This app makes it so easy to not only play your favorite videos that are in a QuickTime format, but also allows you to record a screen cast about anything your heart desires. It also allows you to record audio, and even helps you record movies as well. This tool comes in handy when you want to record your screen to explain to someone how something works online or within your computer just like you did when recording a Keynote presentation above. 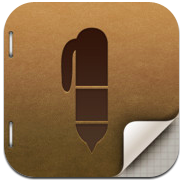 MindNode is another amazing app that you can download via the Apple App Store. If you are someone who likes to make mind maps when taking notes or brainstorming your thoughts, you will be in mind mapping heaven with this app. With a simple interface, and an intuitive design, you will be well on your way to planning your next big idea, or setting up a new potential idea to pursue! If you are looking for a cloud-based storage tool, Dropbox is the go-to app! With the ability to have access to your documents anywhere, this amazing tool will save you a lot of time and hassle. What is great about this piece of software is that you have the ability to not only access your documents via a computer, but also through your iPad or iPhone via both applications! Never again will you have to worry about your computer crashing because your important documents will be safe and sound! Draw Anywhere is a web-based application that allows you to create flowcharts using a WYSIWYG editor. With its relatively intuitive design, and easy to understand interface, creating that next flowchart for a presentation, or to help someone understand how something is structured within your company will be a breeze with this app. One of the great features that this app provides is the ability to download your flow chart via a PDF document. This will allow you to create something quickly, and be able to implement it into what you are doing efficiently. If you run a lot of Facebook ads, you are going to love this little free web-based application. What makes PicResize one of those can’t-live-without apps is that it makes it so easy to resize any picture you want down to the pixle. With the ability to do this relatively easily, you can now make your images look high quality no matter whether you need to make a perfect timeline photo image in Facebook, or make that picture for your Facebook ad pop! NoCostConference is a teleconferencing tool that allows you to hold teleseminars and conference calls for free. With the ability to have up to 100 people on the line, and record it at the same time, this is the perfect conferencing solution for any entrepreneur!